And we’re not alone, for around 5.5 million people in Britain own a dog. The vast majority of those number exercise their dogs regularly, whether it’s a quick walk around the block or a major trek in the country. What brings dog owners and walkers into conflict with other users of open spaces is the unwillingness of some to clean up after their dogs. There is an estimated 900 tonnes of dog faeces produced every day and research indicates that as much as half of all owners never clean up after their dogs. Dog mess is a major problem. It’s not just unpleasant to step in, it also carries Toxocariass – a disease which can be passed from dogs to humans through contact with dog faeces or contaminated ground. Children are particularly at risk from the disease, and in severe cases can led to permanent loss of sight. We always clean up everything our dogs do – and to do this we’ve used nappy bags. I put my hand inside the bag, grab the business, pull the bag inside out and then tie up. Voila – poo safely contained; hands not contaminated and public health not at risk. Well, there is. They are called Dicky Bags. At first glance you wonder whether it’s a bit of an over engineered product – however, when you start to use it, you realise it’s extremely well thought out. The bag is a semi-ridged structure, made from Neoprene – which makes it light and robust. The zipped lid opens to reveal a storage area for pick-up bags inside the lid. At the bottom of the main storage area is a fragranced card which can be replaced when needed. 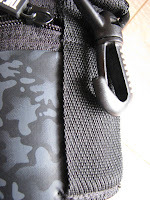 On the outside is a belt loop and a universal clip designed to be attached to you or your dog’s lead. So how does it work in practise? I can say very well. 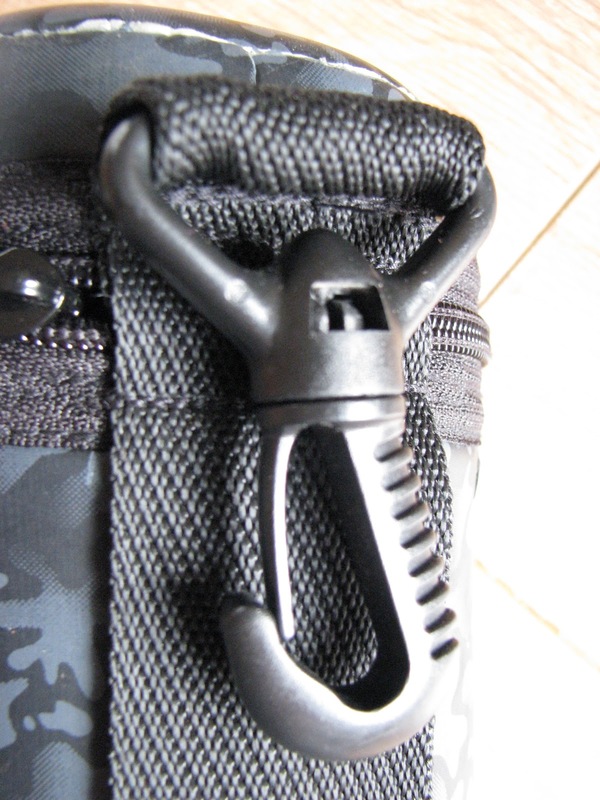 The bag dangles happily from the backpack until it is needed. Then, a quick zip open and one of the bio-degradable pick-up bags can be deployed over the hand to pick up the deposit. 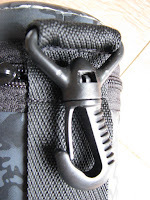 After a quick tie, the bag containing the offending items is placed inside the Dicky Bag and zipped up – job’s a good ‘en! But does the inevitable smell start to seep out – especially on a long hot sunny days walk? Well, I can say even after a long trek, we didn’t get any whiff of nasty odours whilst walking thanks to the glued and blind stitching of the bag. Interesting, even when the lid was unzipped to throw the waste away, the inside didn’t smell too much either – so the fragranced card did its job too. If, after several trips out, you do find the bag starting to retain a smell, then simply pop it in washing machine and let it dry – smell gone! Since getting hold of the Dicky Bag, we’ve taken it on every long distance dog walk and we find we can’t go without it. It’s a great feeling to know at least we won’t be contributing to the dog fouling on our walks with our 4-legged best friends. Expensive delivery when ordered direct from the Dicky Bag website - £1.95 for 2nd class.